Straight No Chaser has had an amazing decade. In that time, the group has sold more than 1.6 million albums in the US and amassed more than 100 million YouTube views thanks to tightly arranged songs, impeccable vocal harmonies, and a healthy sense of humor. 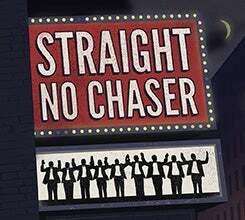 So much of what Straight No Chaser has done over the past 10 years is the stuff of dreams. They’ve collaborated with Paul McCartney, Stevie Wonder, Elton John, and Dolly Parton, to name a few. They’ve performed on national TV early in the morning on Today and long after dark on Late Night with Jimmy Fallon. They’ve toured North America, Europe, and Australia, and consistently rank among Pollstar’s top 100 touring acts in North America. Ten years after turning a collegiate hobby into a recording career that has taken them around the world on tour, the a cappella group tells its story through music on One Shot. 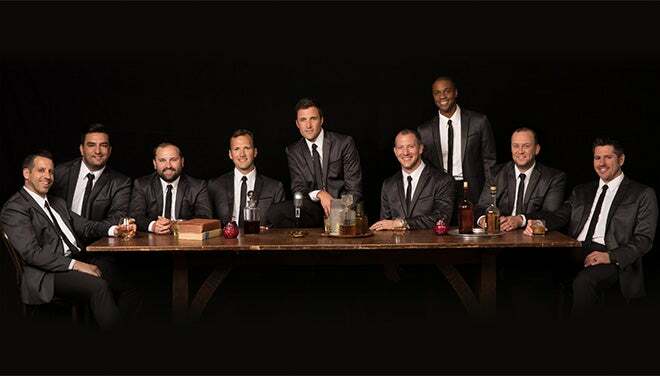 Their seventh LP features 16 genre-spanning songs and 10 entertaining conversational interludes, as the members of Straight No Chaser trace their unlikely rise from an undergraduate singing group at Indiana University to a beloved Atlantic Records act with a devoted international fanbase. Groups (15+) receive reduced handling fees on seating.